George Bass grew up in Annapolis, Maryland where his father taught English at Naval Academy. He was born in Columbus, South Carolina in December of 1932. When Bass was in high school, his passion was astronomy and attended Johns Hopkins University studying English. His sophomore year he transferred to the University of Exeter in England. The jokester experienced quite a hiccup when he was rusticated (suspended) for pulling a prank. Since he wasn’t allowed to attend the school, he went on vacation to Sicily with his brother, where he began to fall in love with archaeology. Specifically, Bass was sitting on a hill looking at a Roman theater with Mouth Etna in the background. In an interview, Bass tells the reporter that while this scene was beautiful, he couldn't help but think about all of the work that went into building this theater, what has happened since then and how everything and everyone in this area had been influenced by it. During his time off of school, he began seeking sites with historical background, learning about them and realizing that he wanted to know more. In this moment, Bass knew that studying English wasn't quite his forte. Because Johns Hopkins didn’t offer an archaeology degree and he could no longer attend Exeter, Bass decided to study Archaeology at the American School of Classical Studies in Athens. He achieved his masters degree in Archaeology, but at the time was also in the United States Reserves (as most men at the time were required to enlist). In 1957, he took a break from school to serve in the army and was deployed to Korea. Here, he had his first leadership position where he was in charge of generators, trucks, the food, and operation. In the same interview, Bass explains that his time deployed was the most important and impactful journey in his life. He quickly learned to think on his feet, act quickly and efficiently, hold a high respected role, and how to not take things for granted. All of these qualities played an important role in his life as an archaeologist, who later would found and run an international organization, take and receive orders when excavating a site and keep high attentiveness in potentially dangerous situations. When he returned to the States, a well known archaeologist at the University of Pennsylvania named Rodney Young who worked for the Turkish government, invited Bass to excavate a shipwreck off the coast of Cape Gelidonya in Turkey, which opened several other doors for him. In 1954, a sponge diver from Bodrum named Kemal Aras stumbed across the Bronzeage shipwreck and reported it to Peter Throckmorton, who was considered an amateur archaeologist. At the time, he was cataloguing ancient wrecks along the southwest Turkish coast, which happened to be specifically where the excavation at Cape Gelidonya arose. After locating the site and recognizing it's great age, he asked the University Museum of the University of Pennsylvania if they would organize the excavation. Now, at this point in his life, Dr. Bass who was asked to assist in the excavation decided to accept the invitation knowing he had never done any kind of underwater excavations before. He decided to take diving lessons to better prepare him for the journey, but because he was now crunched for time, he only had one diving lesson under his belt as he assisted on an excavation in the Mediterranean with the heaviest current. In 1960, this was the first shipwreck excavation carried to completion on the sea bed, the first directed by a "diving archaeologist" and it was also conducted following the standards of terrestrial excavation. The excavation was especially dangerous because the site was spotted between a row of five tiny islands, the Bes Adalar group, in which the current will flow especially faster. In just a single day, the current reverses its direction. The rocks in the area are jagged and some are hidden just beneath the waves. It is dangerous enough to sail a ship in this area (no wonder it sunk), but it is more dangerous for single bodies without protection to go into this water to excavate. At first, the archaeologists believed the wreck to be Mycenaean (Late Bronze Age), as indicated by the English, German and French sources. However, after finding repeating Egyptian qedet patterns among most weighted objects as well as a lamp that had appeared to be Canaanite, Bass hypothesized that this ship was not Mycenaean at all, but instead a Near Eastern ship. Later, it was confirmed the ship was from Cyprus, which at the time, was a part of the Near Eastern world, so his initial conclusion was in fact correct. As an archaeologist who had no experience, his knowledge and impressive assistance during this first excavation was only the beginning of his legacy. This excavation happened to be the biggest, most important excavation still in the history of Nautical Archaeology, and it was Bass’s first ever diving experience, as a PhD student. In 1960 when the excavation took place, Cape Gelidonya was the oldest shipwreck known to man dating back to 1200 B.C. during the Bronze Age. In recent years, Cape Gelidonya was re-excavated with higher technology equipment and a bigger team. This shipwreck was a breakthrough for all archaeologists because prior to this excavation, archaeologists would wait for artifacts to be brought to the surface by experienced divers who noted that archaeologists could "never dive". Bass proved them wrong and in 1973 founded the Institute of Nautical Archaeology (INA) where he was the President and former Archaeological Director. 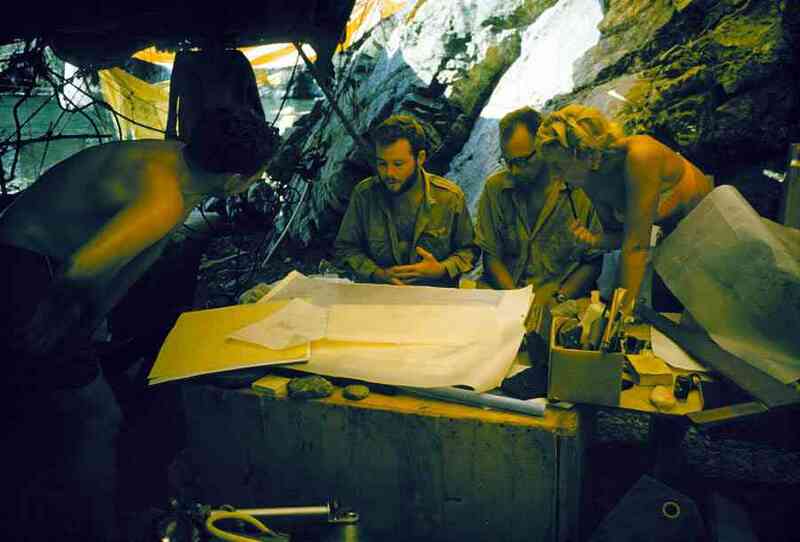 Image 3 - Dr. Bass and his team discuss the site at the excavation camp. After Cape Gelidonya, Bass’s opportunities in the diving world really picked up the pace. He began excavating shipwrecks from the Bronze Age, Classical Age and a 7th century Byzantine wreck at Yassi Ada. An important site he assisted Cemal Pulak in excavating was a wreck at Uluburun, Turkey in 1984. The findings here contributed to the study of weapons, glass, metal, ship reconstruction and more, which gave archaeologists and other professionals a great look into the economy during the Bronze Age. Additionally, Bass directed and assisted in prehistoric terrestrial excavations in Greece, Turkey (site: Gordion, the capital of King Midas’s empire in the eighth century BC. ), and Italy. In 1977 he directed an excavation f the 11th century “Glass Wreck” at Serçe Limanı, Turkey. The most impressive feat about Dr. Bass is that he not only began the most historic shipwreck excavation of all time after a single diving lesson, but also that he was young, still in school, was the first person to ever excavate an ancient shipwreck entirely, and was/is the first and most experienced and successful diver in the entire field of nautical archaeology. In each of his excavations, Bass and his team were not only aiding the archaeological field, but also making ground-breaking changes in almost all historical professions. For this reason, Bass remains one of the most famous archaeologists because he changed the grounds of research for all archaeologists, going places he was told he would never go, while benefiting other fields to work together to create a more solid foundation of the understanding of the past. 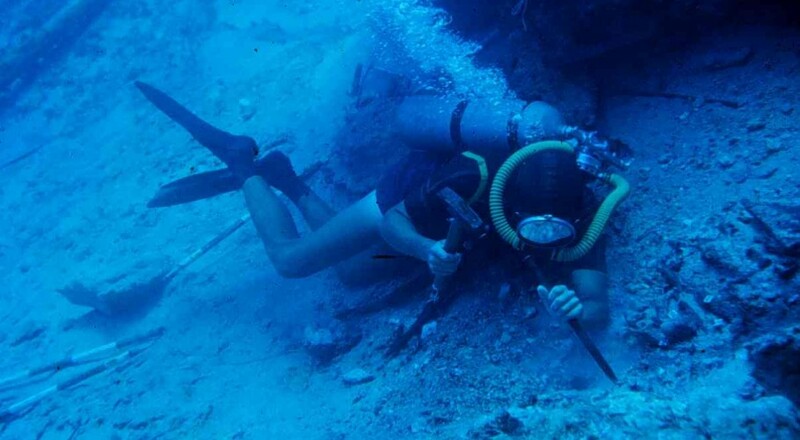 Although archaeological divers were not well respected amongst other archaeological fields, it is more than likely the most convenient grounds for excavation. Water acts as a preservative, protecting wood and other perishable artifacts from sunken ships and boats allowing more accurate dating and analyzing than dirt and ground above the surface does. This allows for nautical archaeologists to easily have more accurate data on top of an excavating experience like no other. Maritime Archaeologists began with nothing but discouragement from all sides. Secondly, the sites can be difficult to reach by all but experienced divers, thus protecting them from random digging. Therefore, looting isn't a problem that Nautical Archaeologists experience. Since sites can't be excavated by anyone inexperienced (random scuba divers, thieves, tourists) each and every site remains preserved and untouched until someone of expertise decides to excavate. This makes putting the puzzle of sunken human past together much easier than it is on land, because it is not as accessible. Experienced divers used to insist that archaeologists could never have the stamina and skill to carefully and efficiently excavate. They claimed that an archaeologist's career belonged on the land and would not stray. Some other archaeologists claimed that nautical archaeology was a cry for attention from lesser skilled archaeologists who couldn't do their job well enough on land. Up until Bass became involved in the underwater archaeological field of work, the stereotype wouldn't have changed for hundreds of years. As a successful, intelligent, skillful archaeologist who loved spending time in the deep oceans, excavating, analyzing and discovering, Bass kept up his reputation for over 10 years in the field. Unfortunately, George Bass ended his underwater archaeological career in 1969 due to a fatal experience of a co-diver. During the Yassi Ada excavation, they pulled one of the most experienced divers from the water with an embolism. Embolisms occur when you come up to the surface too quickly and bubbles of nitrogen form in your blood stream. This acted as somewhat of a wake up call for Bass, because he figured that the longer he remained in this dangerous field of work (in the ocean where many things are unknown, this is definitely one of the most dangerous careers), something life threatening would happen to him eventually, he was just lucky enough that nothing had happened already. Shortly after he abandoned his career in underwater archaeology, he founded the INA. There was a lot left to be discovered, and there still is, however Dr. Bass after putting in a decades worth of diving has more than done his time in the field. Therefore, he decided to create a program that would allow for the underwater archaeological profession to stay alive as well as safe. A program that would allow him to stay involved in the field in which he his most passionate about. 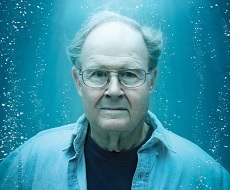 After diving for over 40 years, Dr. George Bass retired at 68 in December of 2000. In 1976 when the INA moved it’s headquarters to Texas A&M University, as President, Bass spent most of his time here and began teaching. He wrote and published many informational books detailing his career and special excavations. In 1982, Yassi Ada I: A Seventh Century Byzantine Shipwreck was published as well as Ships and Shipwrecks of the Americas in 1988, Cape Gelidonya: a Bronze Age Shipwreck in 1967, Serce Limani: an Eleventh-Century Shipwreck in 2004, as well as the collection of books, “Beneath the Seven Seas”. In 2002, Bass was awarded the National Medal of Science presented by President George W. Bush – among his many awards including the Archaeological Institute of America’s Gold Medal in 1986 and Lucy Wharton Drexel Medal for Achievement in Archaeology in 2010. Although retired, Bass stays involved in the INA, attending meetings and continuing to learn and contribute to the Institute while he is retired. Dr. George Bass's legacy still remains as founder of INA, influential professor at Texas A&M University, and first and most successful nautical archaeologist who changed not only the archaeological profession, but many neighboring fields as well, bringing new information to the table with every dive and every excavation.